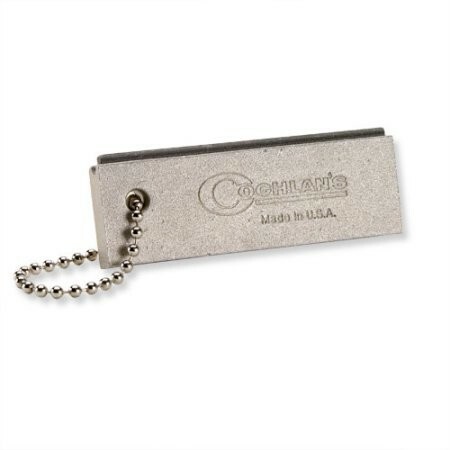 An ideal tool for an overnight outdoor excursion, this Coghlan's Magnesium Fire Starter makes it easy to provide a source of heat and light at your campsite! 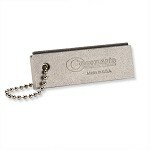 Simply use a knife to scrape shavings off the camping fire starter, and then ignite them with a match, lighter or sparks. 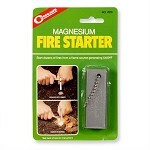 The magnesium in this Survival Fire Starter Kit creates a flame that burns at 5400°F, providing plenty of heat. 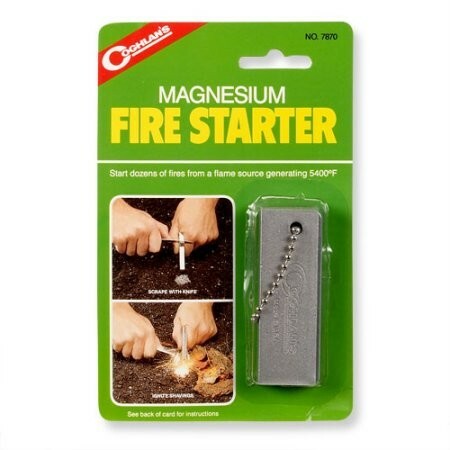 The shavings from the Coghlan's Magnesium Fire Starter will even ignite damp tinder material. Enough shavings can be produced using this camping fire starter to start hundreds of fires, allowing you to use it on numerous camping trips!